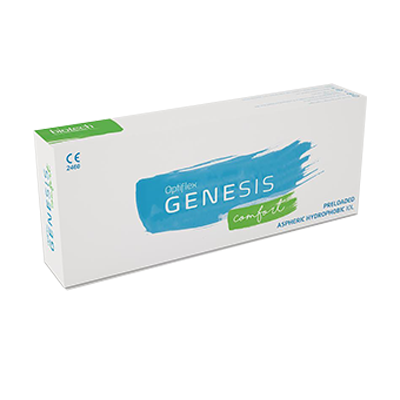 Optiflex Genesis Comfort is pre-loaded delivery system containing hydrophobic aspheric intra ocular lens. 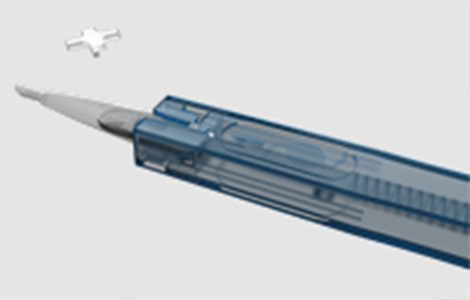 Inject adequate amounts of any Biotech Vision Care certified OVD solution, from the OVD port visible on the left side of the device. 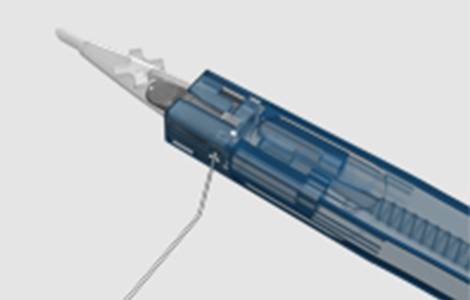 Gently push the plunger until you hear a “click” sound and the leading haptic is bent towards the optic of the IOL. Now carefully pull the lens stopper in an upward direction as shown here. 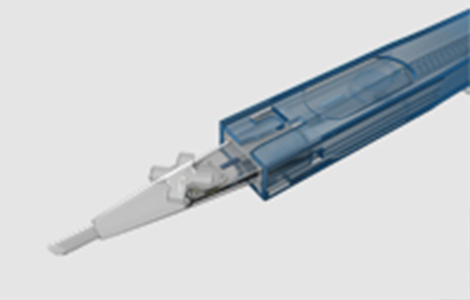 Insert the cartridge tip into the eye with a bevel down position. 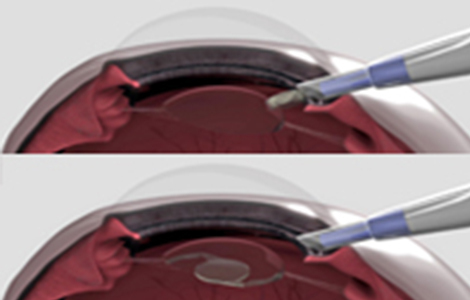 Gently release your thumb from the plunger and thereafter push the plunger down, until the IOL is successfully delivered into the eye.